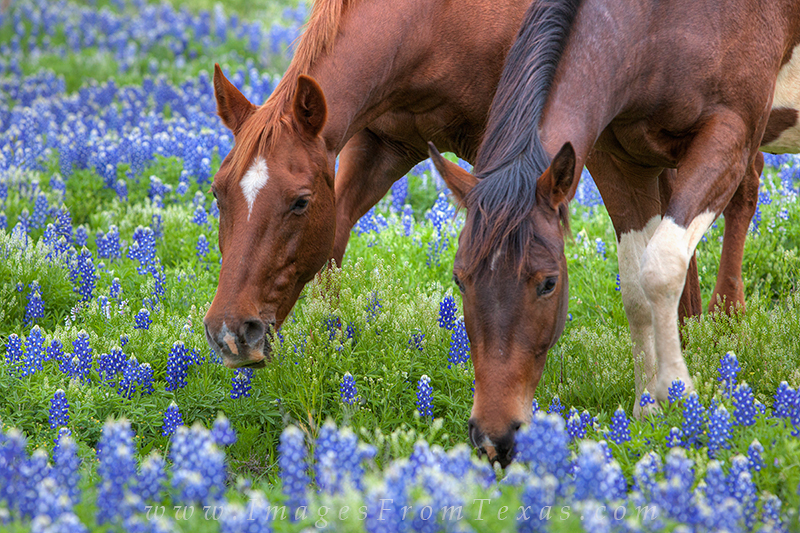 In a bluebeonnet field near Marble Falls, these two horses enjoyed a nice spring morning. They stayed around a while and allowed me to capture several nice images of them in the wildflowers, and I was appreciative of their time. Photo © copyright by Rob Greebon.